Decorating does not end when you have tastefully adorned your walls with your favorite fairy images and accessories. After all, your walls and shelves might be lined with fairy pieces, but your sofa and seats may not! That is where our fairy pillows and blankets come in handy. Our decorative fairy pillows and fairy throw blankets allow you to take your fairy decor one step further. 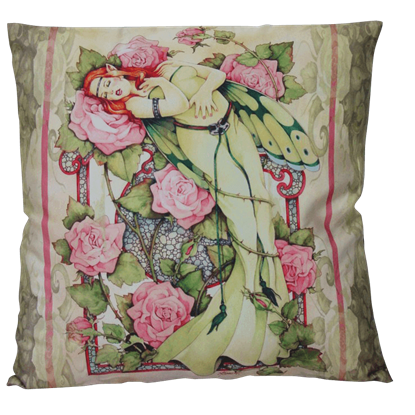 And of course, they are not just good for decoration, either, although they serve perfectly well in that department, thanks to each pillow featuring the artwork and imagery of well-known fairy and fantasy artists. The bright colors of Josephine Wall are sure to make a statement, while the varied images of Linda Ravenscroft and Sheila Wolk are perfect for adding that touch of color and style to any decor. Plus, and this needs to be said, the pillows are perfect for catching a few restful moments, making them a doubly great fantasy home accents to have. You can admire them when they are not in use and just adorning your couch or bed, and then when you have a seat, you can rest your head on one and truly appreciate the comfort that a good fairy pillow can provide. Match any one of these fairy pillows to other fairy decor, particularly our fairy blankets, or just pick up one up to give as a gift to that fairy collector and lover you might know in your life who will assuredly appreciate having just such a fairy item in their personal space. When the days and nights grow chilly, make sure that you have something cozy to wrap up in and feel comforted. 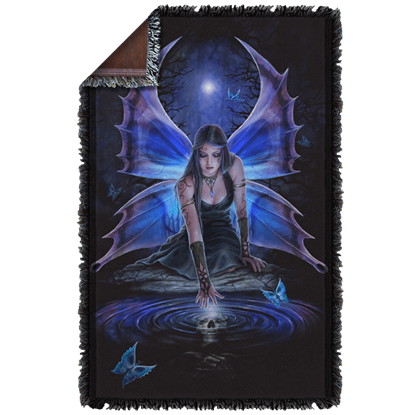 This Anne Stokes Copperwing Fleece Blanket will keep you warm with insulating fleece and entranced by its gorgeous design. 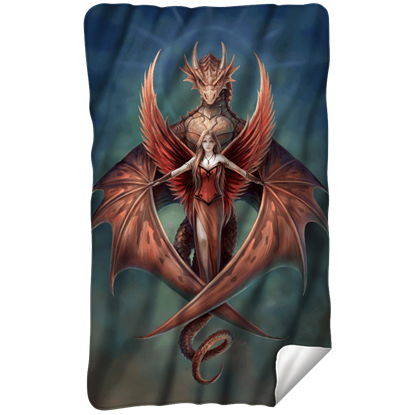 Just as this dragon wraps its mighty wings around the beautiful fairy to protect her, curl yourself up in this Anne Stokes Copperwing Woven Blanket and protect yourself from the cold days and nights that the winter season brings. 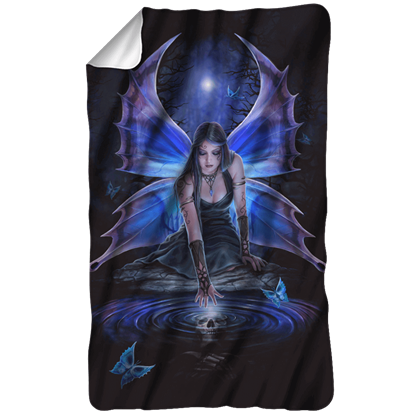 As you watch the full moon rise and you begin to feel the hint of a chill in the air, make sure that you are prepared to face the night and whatever it may bring with this warm and mesmerizing Anne Stokes Immortal Flight Fleece Blanket. Every home needs a quality throw blanket that reflects personal style, both as a decorative accent and a convenient way to warm up quickly. Display your unique style with this soft and cozy Anne Stokes Immortal Flight Woven Blanket. If you are ever lucky enough to witness a real fairy, you would be sure to remember the experience for the rest of your life. 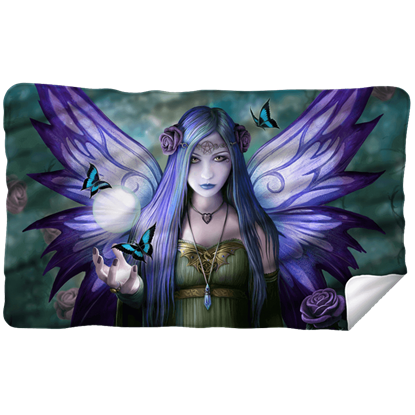 Until then, you can showcase the look of a magical fairy with the Anne Stokes Mystic Aura Fleece Blanket! 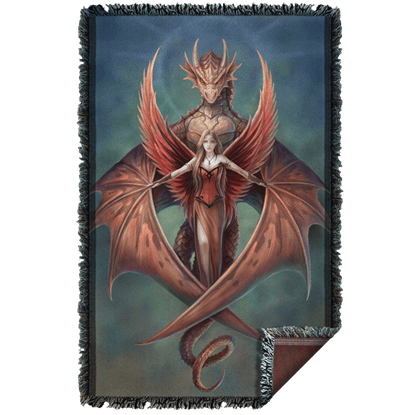 Bring the design of a renowned fantasy artist into your home with this Anne Stokes Mystic Aura Woven Blanket. This blanket combines the magic of fairies with elements of mystical occultism into an elegant, comfortable home accent. You do not have to change your whole living space to give it personal style. 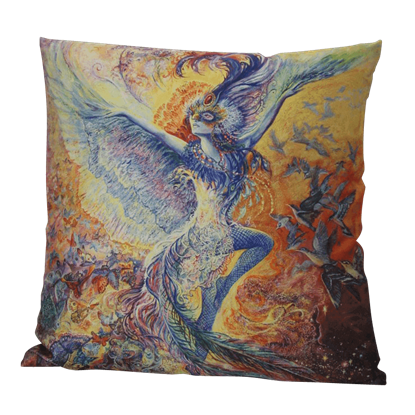 Infusing a bit of yourself into your space can be as easy as just decorating it with something like this Blue Bird Pillow by Josephine Wall. The Entwined Pillow by Linda Ravenscroft is perfect for infusing fantasy and color into your everyday life. 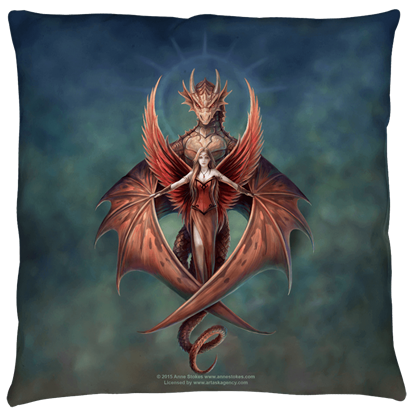 This pillow is a great way to show off a bit of attractive fantasy art that is as eye-catching as it is appealing. 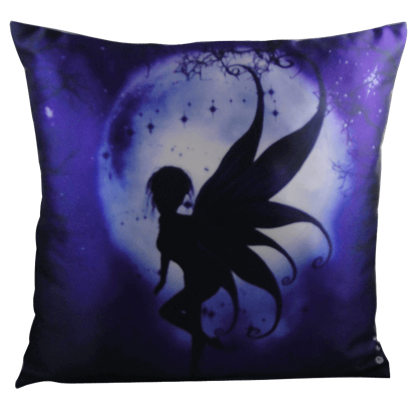 A vivid yet dark color scheme makes this Indigo Fairy Pillow by Julie Fain an instant eye-catcher. Named for its color, this pillow lends a touch of fairy style to any decor while its stunning indigo hue awes all those who see it. An accent pillow can be the perfect finishing touch to a room, especially if that pillow features mesmerizing colors and an exciting fantasy design. 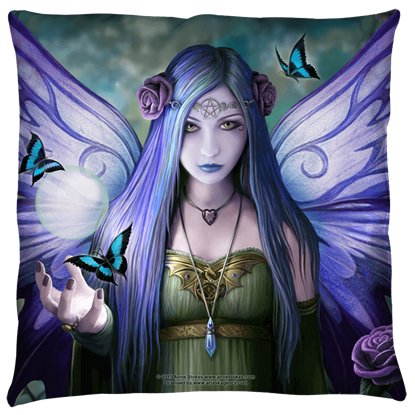 The Large Anne Stokes Copperwing Pillow can be just that finishing touch for you. 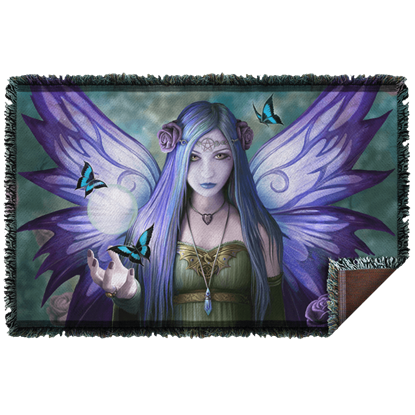 If you are looking for that special touch to finish off your couch furnishings or your bedding, then look no further than this Large Anne Stokes Immortal Flight Pillow to add an accent of Gothic fantasy to the decor of your home. 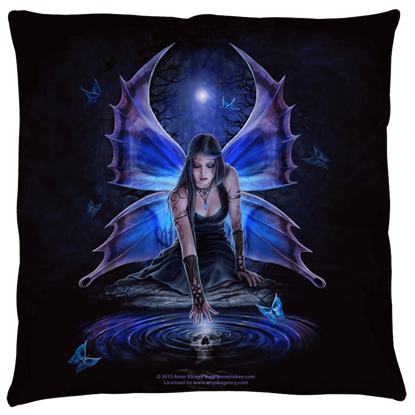 As the artist Anne Stokes beautifully displays in this Large Anne Stokes Mystic Aura Pillow, fairies are among the most magical creatures in the fantasy realm. Bring a stunning supernatural element into your decor with this pillow. People like you and your company make it a lot better for this ol' Vet!